A classic design with a unique twist, these drop earrings created in shining sterling silver features an elegant twisting design that will give a beautiful flow to any outfit. These earrings are the new jewellery box essential that you are sure to never want to take off. 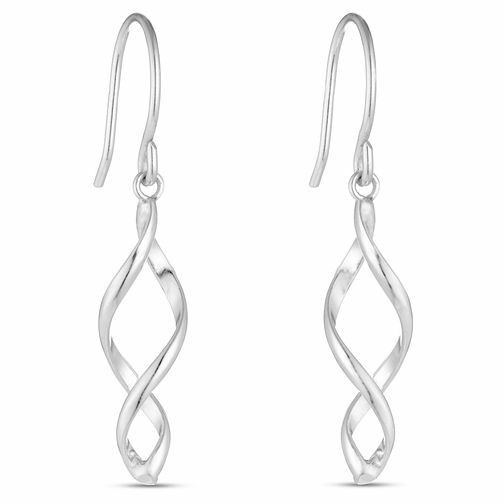 Sterling Silver Twisting Drop Earrings is rated 4.7 out of 5 by 6. Rated 5 out of 5 by Anonymous from Elegant design Brought as a christmas present for my mother, very much loved. They hang elegantly, and aren't overly large. Love the different twist in the design. Arrived quickly soon after placing order, earrings were sealed in a clear packet allowing for return to store if not liked. 5* I would recommend.